Before completing this toddler pipecleaner craft, be sure that your students understand what insects are and how many body parts insects have.To do this with visual aids you can print out the ant coloring page included with this toddler craft with pipecleaners. 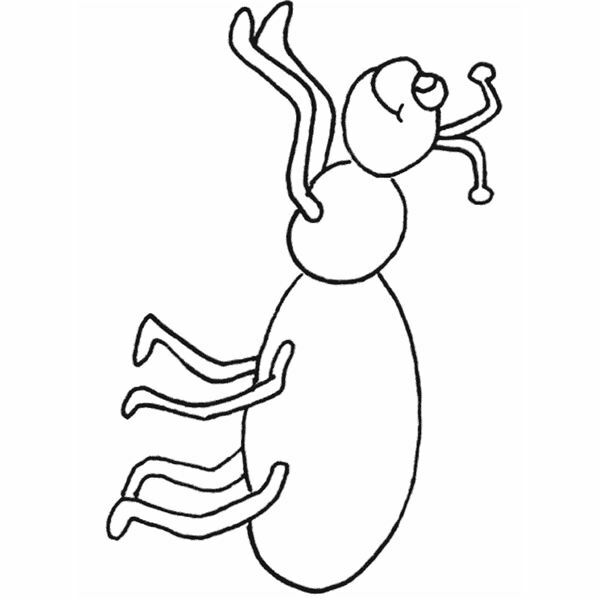 After printing out the coloring page, discuss the parts of the insect with the children and ask them to color each part a different color. This can help them understand that there are different parts to the insect.Then you can continue on with the rest of the toddler bug craft. Before beginning this bug craft, let toddlers play with the pipecleaners so that they can used to the feel of them, how they bend and how to use them. Allow students to play with pipecleaners for about 10 minutes to familiarize themselves with the pipecleaners before moving on to the next part of the project. Playing with the pipecleaners can help with the students' sensory motor skills as it involves the sense of touch. To do this project you will need a variety of colored pipecleaners. Lay a pile on the table so that they can choose colors as they go. Have students fold one pipecleaner in half. Show students how to make balls around the folded pipecleaner and instruct them to make as many as they need to create the insect. Make sure that the ends of the folded pipecleaner stick out the front of the insect to be used as antennas. Next, have children twist three pipecleaners around the body of the insect so that there are three sets of legs altogether. Allow students to be creative in this project and create whatever type of insect they wish. If students wish to add wings to the insect, they can bend a pipecleaner into an oval and twist it around the body of the insect so that there are wing shapes on the insect. Once students are finished creating their insects, talk with them about what their insect eats and where it lives. Allow students to play with their insects when they are done working with them. This is a great way to introduce students to the insect world. If your class enjoyed this activity and they enjoy doing other bug crafts, they may also enjoy doing this butterfly mobile as a way to learn about butterflies in a fun and creative way!